Israeli police closed on Sunday evening all entrances leading to Hazma town, east of occupied Jerusalem, severely restricting access to and from the Palestinian village. Police forces stationed nearby and allowed no one to enter or exit the village, but those holding blue ID cards. The Israeli restrictions came in response to stone-throwing along a nearby road, Israeli forces claimed. The Palestinian Authority (PA) forces on Sunday handed over three Israeli settlers who crept into the occupied West Bank to the Israeli military forces. The three settlers were arrested in the market area in Tulkarem, local sources told PIC reporter. The settlers claimed they were planning to take dinner in a local restaurant. They were however returned to the occupation army shortly afterwards. 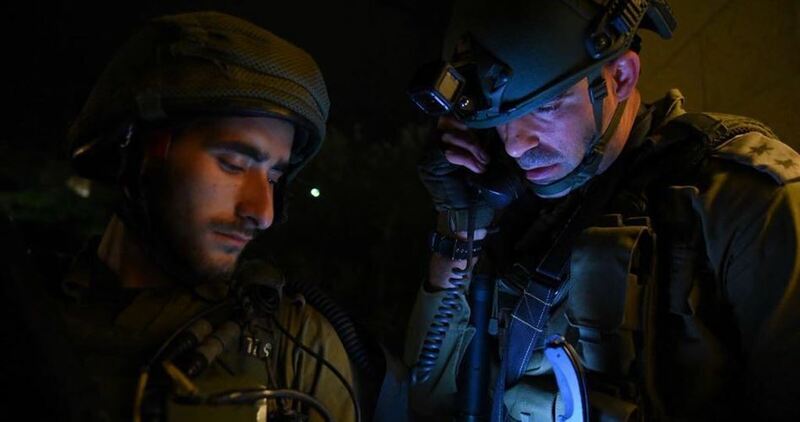 Several Palestinians were kidnapped by the Israeli occupation forces (IOF) in overnight and predawn sweeps rocking the West Bank and Jerusalem. Reporting from Jenin, in the northern West Bank, a PIC news correspondent said the IOF stormed the city’s western towns of Berkin, Kafran, and al-Yamon before they raked through residential neighborhoods. Palestinian young men Ziad Ubeidi and Wasim Abed were kidnapped by the IOF from their family homes in Jenin. 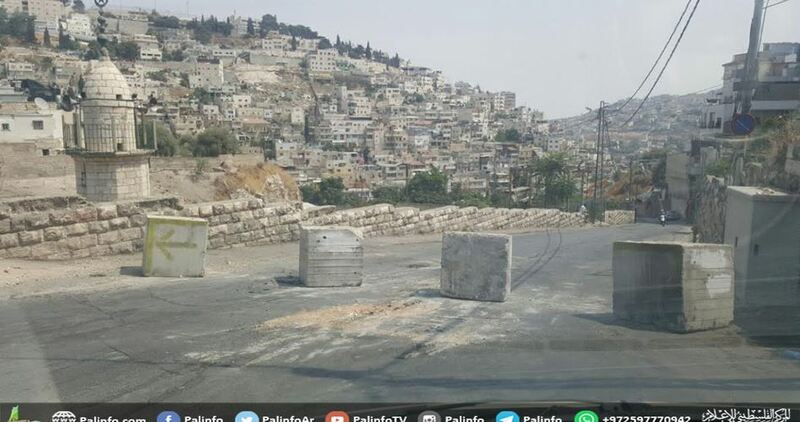 Israeli soldiers also sealed off the Jenin-Haifa access road with a flying military checkpoint. At the same time, Israeli military troops rolled into Tulkarem and kidnapped the Palestinian youth Khaled Kou’ from Beit Leid town. 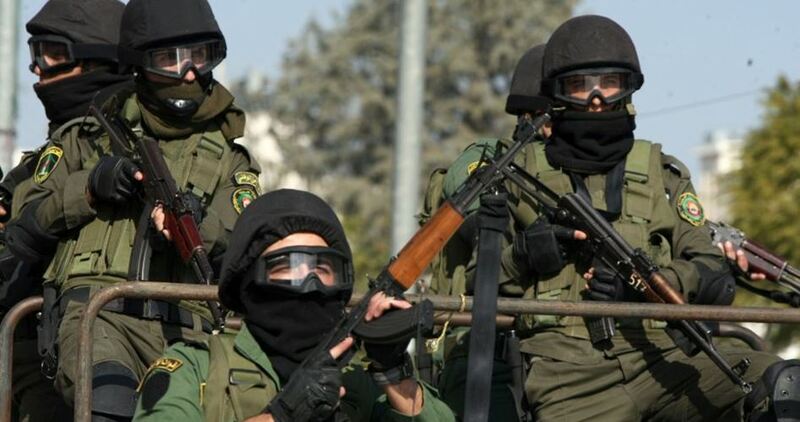 Two more Palestinian youths were kidnapped by the occupation forces from Deir Istiya, in Salfit. The campaign culminated in the abduction of five Palestinians from Bethlehem and another from al-Khalil, in the southern occupied West Bank. Two more Palestinians—Siraj Kashour and Sofian al-Natsha—were arrested by the Israeli forces in Occupied Jerusalem. A Palestinian youth was kidnapped by the Israeli occupation forces afternoon Monday from Jerusalem’s Silwan town. Israeli soldiers transferred the youth to a detention center pending exhaustive questioning. Prior to his abduction, the young man had been made to endure intensive search by the Israeli forces. 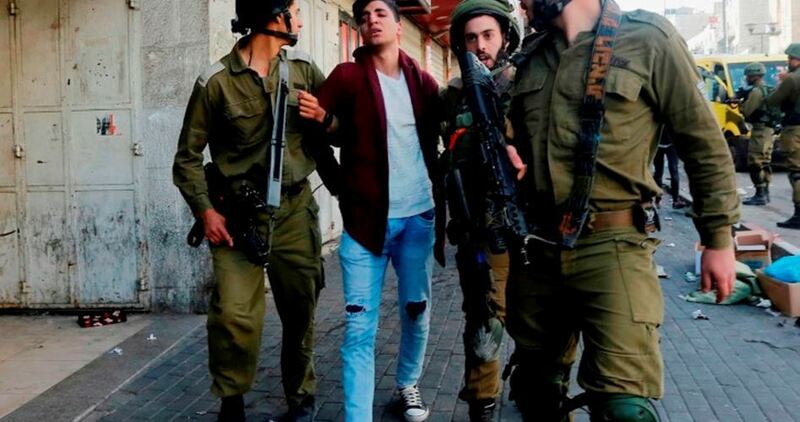 Palestinian anti-occupation youngsters have often been subjected to strip-search and exhaustive questioning by the Israeli army and police as part of a tactic aiming to terrorize civilians and protesters across the occupied Palestinian territories. Israeli occupation is threatening to forcibly transfer several Palestinian communities entirely to make way for settlements in the occupied West Bank. The Israeli army issued orders to the communities of Ein al-Hilweh and Umm Jamal in the northern Jordan Valley on 9 November, demanding immediate and total eviction of all residents within eight days. Israel issued the same order to the community of Jabal al-Baba in the so-called E1 area near the mega-settlement of Maaleh Adumim on 16 November. In all cases, the expulsion orders targeted entire communities. These collective expulsion orders had until relatively recently not been used against Palestinian communities. Rather, Israel issued orders to individual households. Israel originally intended the collective orders for the removal of settlers from unauthorized outposts, though they were rarely used for that purpose, according to Tawfique Jabareen, an attorney representing Ein al-Hilweh and Umm Jamal residents. “This is the beginning of an old policy, but with new methods and tools,” he said. Jabal al-Baba is located between Maaleh Adumim and Jerusalem. It is home to 300 members of the Jahalin Bedouin tribe. The Jahalin were originally displaced from the southern Naqab region (known in Hebrew as the Negev) during the Nakba – the ethnic cleansing of more than 750,000 Palestinians by Zionist militias – in 1948. The community’s presence in that area is a thorn in Israel’s plan to colonize the land, expand Maaleh Adumim and connect it to Jerusalem. This would effectively complete the severing of the West Bank into isolated northern and southern cantons. “Our parents and grandparents lived through it and now I am supposed to live through it again,” said Atallah Jahalin, a resident of Jabal al-Baba. As many as 3,000 civilians have been killed and injured in the Damascus suburb of eastern Ghouta over the past three months as the assault on the area by the Assad regime and the Iranian-backed militias, backed by Russian aerial support, continues unabated. The relentless bombardment has also destroyed large parts of residential areas in besieged eastern Ghouta. Local activists said that the Assad regime’s onslaught on eastern Ghouta has killed at least 1,123 civilians since November 14, 2017, adding that the Assad regime and its allies have conducted no fewer than 1,414 airstrikes on the rebel held- suburb, deliberately targeting residential neighborhoods. According to figures local activists published on Sunday, the Assad regime forces and their allied foreign militias have targeted eastern Ghouta with more than 10,825 artillery and mortar shells as well as 1,935 surface-to-surface rockets since November 14. Activist said that the suburb was hit with over 47 rockets loaded with internationally banned cluster munitions, 39 explosive hoses, 15 which were stuffed with chlorine gas, and 13 napalm-filled bombs. The Syrian Coalition earlier warned that any further military escalation by the Assad regime would inevitably result in the collapse of the political process. It called on the international community to urgently intervene to stop these barbaric attacks on Syrian civilians through reining in the Assad regime and its backers. Activists in Douma said that five civilians were killed in Assad regime airstrikes on the district on Sunday. They added that two civilians were killed in rocket and artillery shelling by regime forces on the district of Hammouriya, while a farmer was killed by regime forces’ sniper fire in the outskirts of the district of Kafarbatna. The International Humanitarian Relief (IHR) aid group on Saturday said that up to 10,400 families in eastern Ghouta are in urgent need for humanitarian intervention. It warned that about 12.6 percent of the total population of the Damascus suburb have been affected at all levels by the intensified bombing campaign the Assad regime and its allies have unleashed in eastern Ghouta over the past three months. The NGO said that more than 4,100 families currently live in underequipped cellars with poor hygiene causing the spread of many diseases, especially among children. Gaza’s Ministry of Health on Sunday announced that surgeries will be suspended in al-Shifa Hospital, except for emergency cases, due to a cleaners’ strike over unpaid salaries for about five months. The Ministry said in a statement that it has been decided to postpone all scheduled surgeries, including those for patients with tumors, noting that the decision excluded life-saving surgeries. The medical staff at al-Shifa Hospital called on all relevant parties to work toward ending the strike immediately as it threatens patients’ lives because of the dangerous accumulation of medical garbage in the hospital. 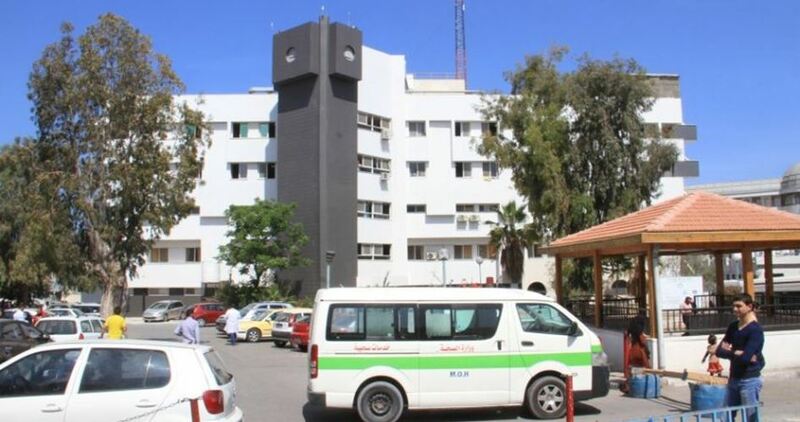 In a related context, the cleaning company of al-Hilal Hospital in the southern province of Rafah started a strike on Sunday because of the delay in paying its cleaners’ salaries for the fourth month in a row. This strike would exacerbate the medical crisis hitting the hospital in light of the acute shortage of medicines and equipment. According to the Ministry, nearly 832 cleaners are employed to work in Gaza’s hospitals and medical centers at a cost of 943,000 shekels per month (11.3 million shekels per year), and they have not received their salaries for four months now. Second from left, Palestinian Minister of Education, Sabry Saidam. 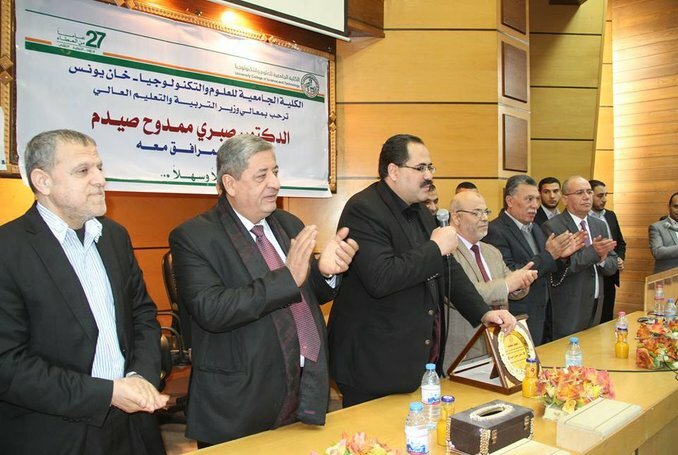 Palestinian Minister of Education Sabri Saidam Sunday affirmed his ministry’s ‘utmost rejection’ of all restrictions imposed by Israel on foreign academics seeking higher education in Palestine. This came during a meeting with a delegation of a grassroots campaign “for the protection of foreign passport holders residing in and or visiting the occupied Palestinian Territories”. The delegation consisted of campaign activist Sam Bahour, Rana Barakat, and ‘Abla ‘Aranki from Birzeit University. You can’t talk about research and education in Palestine without confronting occupation and apartheid. Saidam said his ministry will study the campaign’s file and will follow up with concerned parties, to be discussed at the Higher Education Council’s upcoming meeting. He affirmed the need to combine and invest all efforts in political, diplomatic, and media channels in order to pressure Israel to put an end to its arbitrary measures imposed on the entry of foreign academics into Palestine. Saidam said such restrictions deprive academics from contributing to the development of the Palestinian higher education in general, and the research field in particular. The delegation briefed the minister on the impact of Israeli restrictions on the entry of foreign academics on the development of educational institutions, calling on international academic institutions, official authorities, and global civil society institutions to support the campaign and halt all measures that inhibit the entry and residency of foreign academics in Palestine. The distressing situation of Palestinians stuck on both sides of the Rafah border crossing and inside Cairo airport following the Egyptian authorities’ decision to close the crossing for passengers traveling in and out of Gaza, constitutes a tragedy to many of stranded patients and students, warns the Euro-Mediterranean Human Rights Monitor. 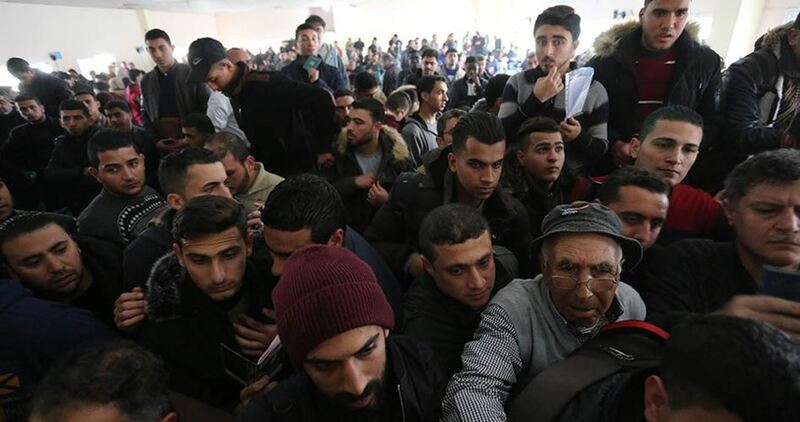 The Egyptian authorities have allowed the opening of the Rafah border crossing to secure the travel and return of Palestinian citizens out of and to the Gaza Strip after a complete closure that lasted about 50 days. The Palestinian citizens were surprised by the Egyptian authorities’ sudden decision to shut it down, only two days after it was opened. This decision coincided with Egypt’s launch of a military campaign in the Sinai Desert, which led to holding hundreds of passengers returning to the Gaza Strip at Cairo airport, as well as on the Egyptian side of the Rafah crossing. The Egyptian authorities allowed only 650 stranded passengers to head to the Gaza Strip to cross during the opening of the border crossing. Hundreds of other Palestinian citizens are still stranded and held on the Egyptian side of the crossing. Further, the Egyptian authorities have ordered the return of more than 44 vehicles loaded with Palestinians to Cairo Airport again, and refused to let them in. The number stranded Palestinians at the Egyptian side of crossing, who were wishing to return to the Gaza Strip before the Egyptian army issued a decision to deport them back to Cairo airport, exceeded 400 passengers. They are currently being held in closed halls at the airport, and the airport security informed them to return to the countries they flew in Cairo from. Hundreds of passengers stuck at Cairo airport have appealed to the Egyptian authorities and the Palestinian embassy in Cairo to hasten their return back to the Gaza Strip or find a solution to end their suffering at the unbearable cells and rooms at Cairo airport. Euro-Med received several statements from a number of stranded Palestinians at Cairo airport, saying that security personnel at the airport were holding about 100 people, mostly patients, students and children, in one room, without providing them with food, drink or sleeping blankets. Most of them now cannot afford to buy food. According to the Euro-Med, another 200 people are trapped only a kilometer away from the Egyptian side of the Rafah crossing. Mostly, they are patients, children and elderly, while military confrontation with militants and ambushes are only a few kilometers away from them. Euro-Med called on the Egyptian authorities to hasten the opening of Rafah crossing for the entry of stranded people near the crossing, to secure those stranded near military ambushes and danger areas and provide them with the necessary humanitarian aid as soon as possible. Euro-Med also called on the Palestinian embassy in Cairo to cooperate with the Egyptian authorities to meet the needs of hundreds stranded Palestinians at Cairo airport, to find suitable places for them to stay and to coordinate with embassies of other countries to resolve the issue of expired visas of long-stranded Palestinians at the airport. 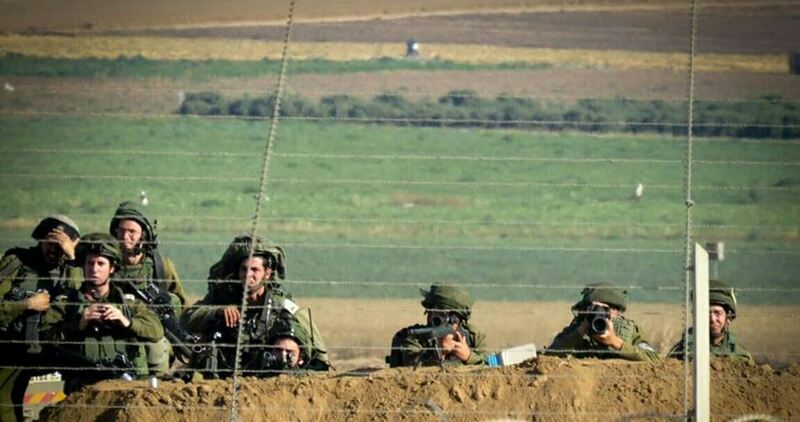 In a report issued on Sunday, the Palestinian Center for Human Rights (PCHR) said that Israeli Occupation Forces (IOF) escalated over the past month attacks in the buffer zone, east of the Gaza Strip. The PCHR documented 47 Israeli violations in the buffer zone since January including 31 in the border areas and 16 in the maritime area. The reported violations include 34 shooting attacks, seven bombings, three incursions, and three arrest cases. The violations had resulted in the martyrdom of two Palestinians including a child and the injury of 70 others including 13 children. The term “buffer zone” in land and at sea is used for land and sea areas, which were unilaterally and illegally declared by Israeli forces as areas with no access along the eastern and northern borders and in the sea of the Gaza Strip following the Israeli Disengagement Plan in 2005. Along the same line, al-Mizan Center for Human Rights reported 36 Israeli shooting attacks against Palestinian fishermen since the beginning of 2018. Ten fishermen were arrested during the reported period while five others were injured. Three fishing boats were also confiscated.